Hi Gain AK Directional Antenna supplied in kit. Range up to 300km External line of sight. 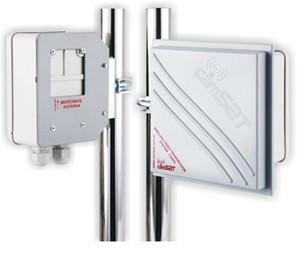 Wall Mounted and 30mm~50mm Rod Mount included in kit. 7 selectable operating Channels for multi camera use. Standard DC12V power supply included.